Catch Big Fish on "Sakana Connection" only on Japan iTunes Store this Month! Hello all! Nick here bringing you more Japan gaming news and information! Today I have a preview of a new game coming out for Apple iOS devices and Android devices in Japan called, Sakana Connection, or サカナコネクション – from the popular game developer, DeNa. This game is considered in the realm of sports because it involves some high intensity fishing competition! The Japan iTunes Apple Store often sees highly played fishing sport games on their market, so hopefully this title will see some success for the company. Users will be introduced to the game through the female character, who is currently nameless at the moment but is in the picture above. She will guide you on your touch screen phones or tablets on how to capture the most rare and powerful fish to make gains on the competition. Additionally, there will be a fish index so that you can collect and tag the most memorable catches on your journey through the game. From the first impressions, overall the game looks both beautiful and exciting to play. 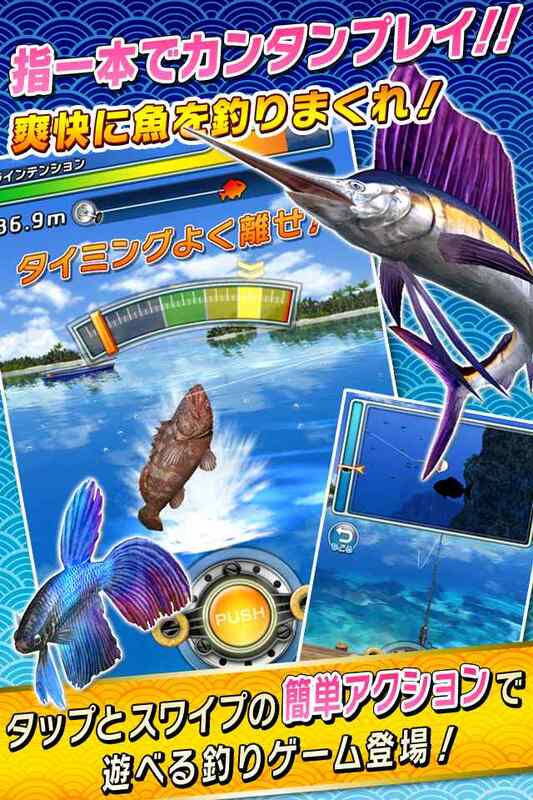 I know that those who enjoy sport-fishing games may deeply enjoy this new title upon release. Sakana Connection, or サカナコネクション – is due to hit Android and Apple iTunes Store come May 2015, which means if you are truly interested in the game, I would start scanning the Japanese marketplace now! The title will be free to play but will over several in-app purchases that will aid in quality of life and assist your fishing adventures. If you do not yet have a Japanese Apple ID, we have created a simple guide for you to get started right away so that you can begin browsing the foreign market! Don't forget, at JapanCodeSupply, we always offer you the cheapest, fastest delivered (digitally), and safest Japan iTunes Gift Cards for all of your gaming pleasures!